OUR KNOW-HOW FOR YOUR SUCCESS! We create successful solutions for our customers out of products, not least thanks to our expert consulting. Decades of experience in a wide variety of fields forms the main expertise of our consulting team. From planning to visualization, whether KANBAN or filing systems, we are always the right people to turn to, if it makes sense to use classic organization. 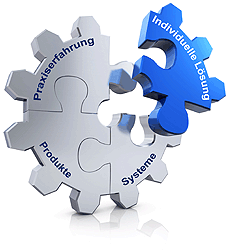 What we offer does not only cover implementation of our highly flexible standard products. Feel free to also get in touch with us if creativity demands an individual solution design!